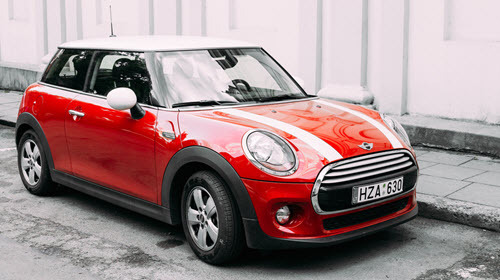 The Mini Cooper is a world-renowned vehicle and is an iconic symbol of British vehicles. This little car has marked its place in history by being featured in a variety of famous moments. George Harrison was actually quite fond of cars and had a substantial collection, including a Mini Cooper. He had the automobile painted in bright, psychedelic colors and it was used for the Magical Mystery Tour movie. The vehicle is so iconic that Mini paid homage to the brightly colored car and released a Special Edition for its 50th anniversary. Another famous Mini was the one Rowan Atkinson used as Mr. Bean. There were actually six different Mini’s used throughout the run of the show. In 2015, for the 25th Anniversary of the show, Rowan Atkinson sat atop the iconic mini in an armchair, driving it through parks and famous landmarks of London, while navigating the vehicle with a mop and rope. The Mini that was used in the movie Bean was sold this past June for $70,000. While this car has had many iconic moments and is famous in pop-culture, it can still have issues every once in a while. An issue that seems common with the Mini is leaking in the crankshaft oil seal. What Is a Crankshaft Seal? The crankshaft is the part of the engine that helps with the movement of the pistons. It aids with the rotational motion and converts it to reciprocating motion. The crankshaft seal is in the front of the engine and is what helps the oil change directions back to the oil pan. This helps the oil to not leak and is how the oil levels are maintained in your car. The seals are generally made from rubber, and while it is a simplistic part and design it is important to preventing oil from leaking in the crankcase of the engine. If your seals fail, it can create problems for your car that will damage your engine and be pricey to fix. Since the seal is made of rubber or silicon, they are susceptible to failing, especially if you live in a place with extreme temperatures. Generally, it is weather that causes the failure of a crank seal. This is something to consider when buying your Mini, but proper maintenance and regular checkups will help keep your vehicle in shape and a mechanic will be able to identify if you will need to replace your crankshaft seal. Another reason your crank seal may fail is due to mileage. The more miles you have on your vehicle the more likely your crankshaft seal will fail. For most parts on your car, there will be a recommended service life at which point you can determine what you might want to replace, or what parts are fine. 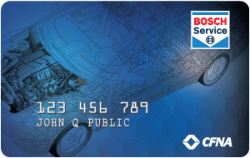 This all depends on location and use of the vehicle, but a skilled mechanic familiar with your vehicle model can help determine a part’s life expectancy for you. The most common symptom of a faulty crankshaft seal will be an oil leak. Depending on how bad the seal is, the leak could be small, causing oil to leak underneath the engine, or if it is a larger leak, there may be a puddle of oil in front of your engine. There are other reasons that you may have an oil leak, but it is recommended that you check the simplest problem first, which is the crank seal. The problem with an oil leak in the crankshaft seal is that it your leak could be very minor. If it is a minor leak, it could take you some time to notice, which causes more potential damage to your vehicle. That is why regular service and maintenance is recommended, so that you do not miss issues like this. trained mechanics to help you identify any oil leaks you may be experiencing with your Mini. Convenient to Upper Makefield Township, Yardley, Newton, and Morrisville, PA, we are able to provide you with the diagnosis and the service needed to repair your car. We have over 40 years of experience and aim to provide quality services to our clients. If you would like to schedule an appointment or find out more about the services we offer, call our offices where we would be glad to help. * Mini Cooper Car image credit goes to: bruev.